The 2018 BMW X6, which the manufacturers call a Sports Activity Coupe®, is an incredibly luxurious crossover vehicle. That’s why it’s perfect for high-class drivers in Exeter, Stratham, Portsmouth, and the surrounding New Hampshire communities.  If you have any questions, don’t hesitate to reach out to us here at BMW of Stratham. We’ll set up your exclusive test drive immediately! Commanding exterior: Between its coupe-like design, its athletic contouring, and its super light 19-inch alloy Y-spoke wheels, this is the type of vehicle that’ll turn heads as you drive on by. Illuminated interior: As you switch from Comfort to ECO PRO to Sport driving modes, your X6’s Dynamic Digital Instrument Cluster will switch color schemes, as well. And you’ll have additional control over the mood with BMW’s standard ambient lighting: 3-color LED lights with nine layouts. Sumptuous seats: 20-way multi-contour seats with rich-grain leather upholstery will leave you in awe. Musical bliss: The Harman Kardon® Surround Sound System has 16 quality speakers, plus a 600W amplifier. This technology will put your driving playlist into overdrive, guaranteed. See what’s going on around you: Available side- and top-view cameras make this easier. See what’s going on in the world: An optional Wi-Fi hotspot will make this easier. First, the 2018 BMW X6 offers a 3.0L inline 6-cylinder engine with TwinPower Turbo technology, Double-VANOS and Valvetronic variable valve control, and a twin-scroll turbocharger. That’s quite a mouthful, but it translates to some pretty out-of-this-world horsepower and torque outputs-up to 300 horsepower at 5800 RPM and up to 300 lb-ft of torque at 1300 RPM. Or, if you crave even more power, you could kick things up a notch to the “reverse-flow” 4.4L V8 engine with TwinPower Turbo technology, Valvetronic variable valve control, high-precision direct injection, and the rest of the works. That puts you in the range of about 445 horsepower and 480 lb-ft of torque. Of course, the BMW X6’s V8 isn’t all that you’ll have in terms of performance. 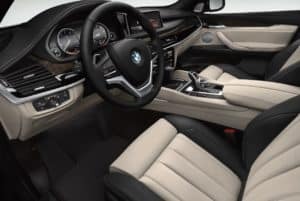 xDrive (BMW’s Intelligent AWD System), Dynamic Damper Control, and Dynamic Performance Control will all work in tandem to ensure that you have the most stable and controlled drive possible. And remember, control gives you freedom. Test Drive The 2018 BMW X6 Today! 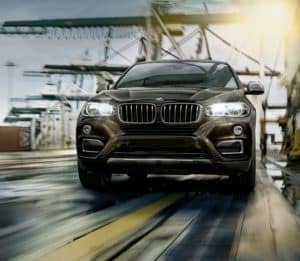 Regardless of whether you live in Portsmouth, Stratham, Exeter, or any of the surrounding New Hampshire towns or cities, you can come down to BMW of Stratham to test drive the 2018 BMW X6, at your convenience. We’re just a short drive or quick phone call away. Or, you can easily contact us online. We look forward to speaking with you soon!